Currently, families pay a flat £215 fee for probate. Probate fees are set to increase up to £6,000 for the largest estates from April 2019. The plans to increase probate fees from the current £155 for grant applications made by professionals and a charge of £215 for those made by individuals for estate valued at over £5,000 were first announced in February 2017. Probate costs will increase under the new system according to the value of the estate. The new proposed fees could increase up to £6,000 for the largest estates. For estates worth up to £50,000 the proposed fee will be £0. The fee hikes will see and increase of up to 28 times for some estates, while the fees have no bearing on the actual cost of the service provided. The services involved in a grant of probate are fundamentally the same. The threshold at which the new fees become payable will be raised from £5,000 to £50,000. This will exempt approximately 25,000 additional estates per year from paying fees altogether. The current flat rate system will be replaced with a banded pricing structure linked to the value of the estate (before inheritance tax). The same rate will apply regardless of whether the applicant is a solicitor or an individual. For more information on Probate, watch our Probate video here. 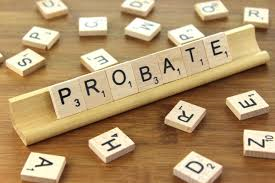 For more information on Probate, contact our specialist Probate team on 01460 64441 or email probate@lentells.co.uk.